Ms. Jackson began teaching orchestra in Wake County Schools Raleigh, North Carolina. Ms. Jackson moved to Richmond in 1994 and began teaching in Henrico County, where she worked for seventeen years at several schools. In August 2012, Ms. Jackson accepted the position of Orchestra Director at Francis Hammond Middle School in Alexandria City Public Schools (ACPS). She continues to serve with her energetic style of teaching. The number of students participating in strings at Hammond has more than doubled since she has been there. The Hammond Middle School orchestra students have received superior and excellent ratings at District Orchestra Assessments. March 2015, Hammond Middle School was the only school in the area to have four ensembles in the District X Orchestra Assessment – three received straight superior ratings and the fourth ensemble received an excellent rating. Ms. Jackson has coordinated innovative and collaborative programming in the ACPS Strings Program that has made a direct impact on the increase the overall numbers in the District as a whole. Some of these programs are the 7th and 8th Grade Honors Orchestra Event, 5th Grade Fiddle Fest, Electrify Your Strings featuring Mark Wood, ACPS Summer Band and Orchestra Camp, and LOWER STRINGS BOOST! also known as VIOLA, CELLO, BASS DAY. Ms. Jackson is proud to have been named Teacher of The Year 2017 for Francis C. Hammond Middle School, making her a finalist for teacher of the Year for Alexandria City Public Schools. 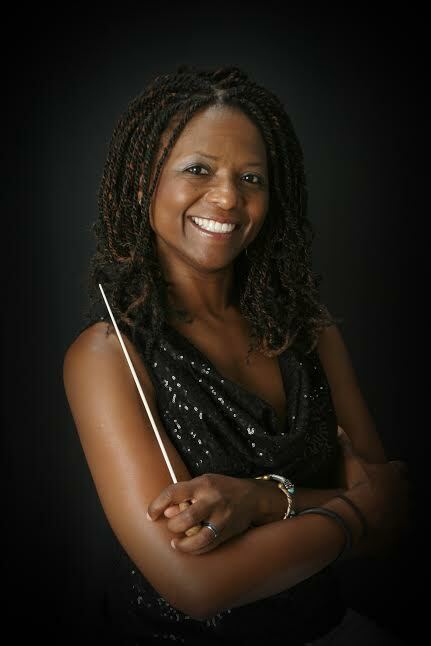 Ms. Jackson is highly sought after to serve as guest conductor and clinician for all county, district, and regional orchestra events throughout Virginia, North Carolina, and Maryland. She was recently appointed director of Arlington Concert Orchestra, an orchestra for adults who have returned to playing their instruments. It is a program that is part of Arlington County Public Schools Community Learning program. She is now serving as the director of the McLean Youth Orchestra Repertory Ensemble. She has also served as Advanced Orchestra director for the Rappahannock Summer Music Camp for five years. Ms. Jackson will serve as High School Orchestra conductor for the Ovations Summer Music Camp at George Mason University in June 2017. As an active musician, Ms. Jackson enjoys performing in several ensembles including Prince George’s Philharmonic Orchestra, Capital City Symphony, and Takoma String Ensemble. Ms. Jackson is lovingly supported by her awesome husband Charles Dawkins, her two gems, Camille and Phillip, and her adorable grandson, Caden.